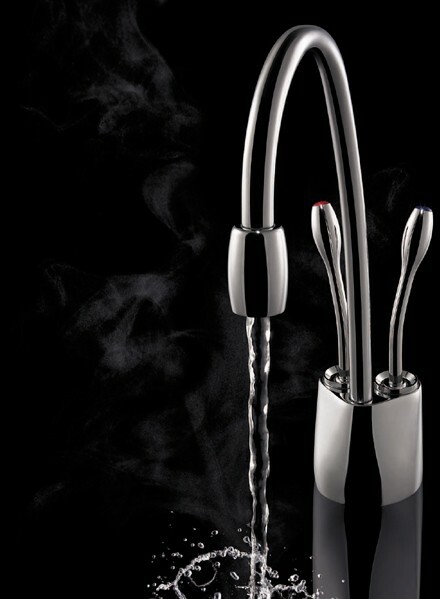 InSinkErator Hot Water > Steaming Hot & Cold Filtered Kitchen Tap (Brushed Steel). 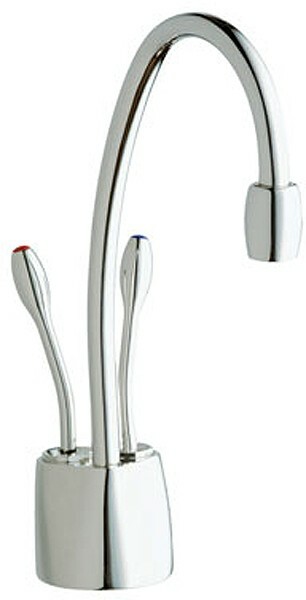 Kitchen tap with instant steaming hot and cold filtered water. Brushed steel finish. 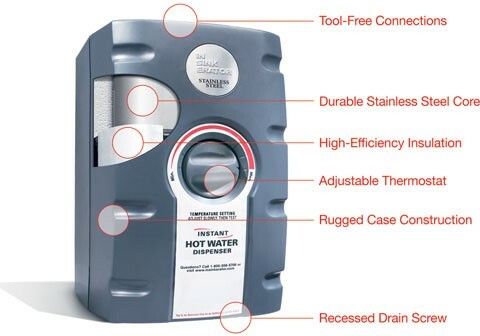 Instant heater and filter included. Hot and cold filtered water.